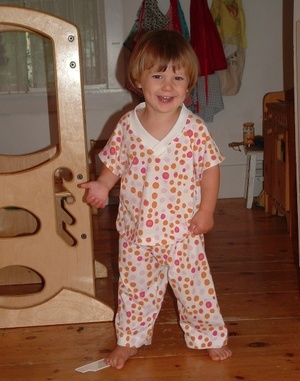 These PJ's for Ezra were the latest chunk taken out of my Munki Munki fabric stash. It's slowly dwindling, and I'm very sad. 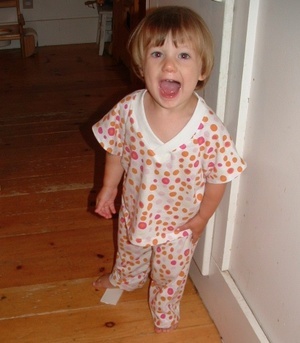 I heard rumors that they were going to do some designs for Free Spirit Fabrics. Does anyone know? I'm anxiously waiting. In the meantime though, I'm happy to keep working with what I've got left and it looks like Ezra's happy with that deal too.